Driving under the influence (DUI) or operating a vehicle while impaired (OVI) – is a very serious offense in Ohio. Defending yourself against DUI charges is critical to your record and could play a lasting role in your future ability to get a job, be promoted, receive a professional license, get into school, or even rent your next apartment. There are many ways in which a DUI attorney can help defend you against these charges. Ohio has some of the most strict DUI / OVI laws in the nation, and fighting a DUI / OVI charge in Ohio is a complex undertaking. A DUI attorney can scrutinize every detail of the investigation and the state’s evidence to turn up any flaws or weaknesses in the case against you. If you weren’t driving erratically, if the test procedures were in any way improper, or even if the paperwork was not properly completed, a DUI attorney can examine all of this and use any errors to your advantage. An experienced DUI attorney who understands the sobriety field test procedures will be able to challenge how the field sobriety testing was conducted and whether or not evidence was properly collected. Furthermore, a DUI attorney can help craft a strategy for your defense that will minimize or completely avoid any damage to your record or your future. 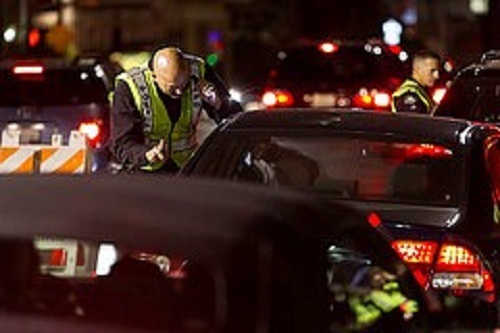 There are many strategies for defense against a DUI charge. In some cases the best option is to work with your attorney to get a dismissal of the charges, or to make a plea to a lesser charge such as reckless operation or physical control. In other cases, the best option is to fight the charges all the way through a trial. The advantages of having an experienced, qualified DUI attorney on your side are numerous. A DUI attorney is familiar with the court system, knows the consequences associated with various pleas, understands the importance of administrative procedures, and can be your advocate in this complex and often daunting experience. Fighting a DUI charge is not a task you should take on single-handedly. You need the experience and resources of a DUI attorney. Do You Need a DUI Attorney in Central Ohio? If you’ve been charged with an alcohol-related offense in Central Ohio, don’t roll the dice and hope it all comes out okay. You need to actively pursue clearing your record to the greatest extent possible. You need the representation of a skilled attorney who can help you navigate the treacherous landscape. The Maher Law Firm can help make sure that your rights are protected. Founding attorney, Colin Maher, is a National Highway Traffic Safety Administration (NHTSA) certified practitioner for field sobriety testing, which is the same training police officers take. This training helps him evaluate and challenge the evidence collection involved in the field sobriety test process. Call The Maher Law Firm today for a free consultation at 614-205-2208 or contact us online.